You can optimize your invoices' delivery on any of the following ways. You are also welcome to send your customer list to support@inexchange.se and we will help you to quickly and cleverly connect your customers to the right organization and with the best delivery way. Client Registry - Click "Show" to open a customer, then "Edit" at the bottom of the customer card. 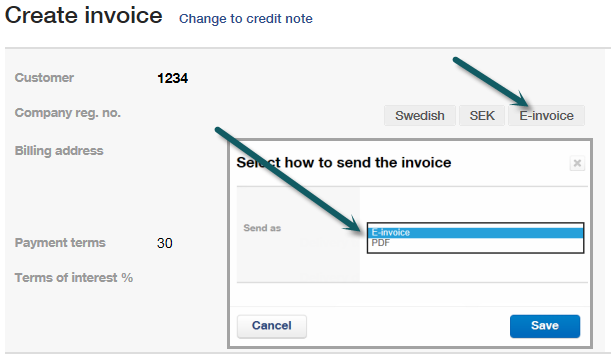 Select a delivery method under the "Invoice settings" > "Send As". Option 1: Search for the current customer and press "Edit Customer"